April is Prevention of Animal Cruelty Month. Help keep your furry pals safe by taking a look at this excellent ASPCA guide. It explains how to spot important cruelty warning signs. And remember that pet and animal safety isn’t just limited to one month of the year. Always be mindful of these warning signs. First aid kits aren’t just for people. Cats and dogs need them too. April is Pet First Aid Awareness Month, which makes this the perfect time to make sure you have a well-stocked first aid kit ready for your furry pal in case of a medical emergency. The good news is that you don’t have to buy tons of special or expensive pet supplies to be prepared. Much of what you need can also be found in a regular first aid kit. You can even buy two of the same first aid kits for both your family and your pets, and designate one for each. Just remember to store them in separate areas too so you don’t accidentally mix them up. What exactly should your pet first aid kit consist of? Check out this helpful AVMA article from the American Veterinary Medical Association to find out exactly what you should keep in your dog or cat’s first aid kit. Ever wonder what you would do if your pet had a medical emergency and you can’t get him to a vet immediately? It’s something that every responsible pet owner should think of just in case. In honor of April being Pet First Aid Awareness Month, check out this article on what to do for your pet in case of a medical emergency. It offers simple and helpful information on what to do if your dog or cat is choking, has stopped breathing or is injured. Having trouble jogging with your dog? Sure, it’s a great idea to work out with your pet. It’s a way for you both to exercise and spend quality time together. But maybe you didn’t anticipate some minor setbacks, like your dog stopping to go to the bathroom every few minutes, taking frequent breaks to sniff everything or getting distracted by squirrels and birds. These constant stops and breaks takes can prevent you from getting the maximum benefit of continuous exercise. Not to worry, there are a few ways your can counter your pet’s natural inclination to get distracted on jogs. Practice. Before you begin any sort of jogging regimen with your pooch, take him on a few practice runs. You can even do this on regular dog walks. Keep a constant pace and don’t allow your dog to stop if he wants to smell something on the ground or if a squirrel suddenly runs in front of him and he pauses. Firmly grip the leash and gently tug it every time you notice him stopping. Your dog sees you as his leader and will follow your actions, so it’s important that you are consistent with this. The more you practice this, the more your dog will get used to walking without stopping. Once he gets the hang of doing this on your walks, transition to jogging and employ the same techniques. Have your dog use the bathroom before and after your run. You would think it’s impossible to eliminate bathroom breaks when outdoors with your pooch. But it’s not. You just have to plan carefully. Before you jog, let your dog out in the yard for a few minutes so he can do his business. Or you can take him for a short minutes-long walk so he can relieve himself. This should eliminate his constant stopping to use the bathroom while running. Then once you are finished jogging, let your dog use the bathroom again. This should take care of his bathroom breaks while ensuring that you get in some quality continuous cardio. Of course, if it’s an emergency, you should stop to let your dog relieve himself. But the more you make your dog go to the bathroom before and after jogging, the more he will become accustomed to it, which will result in more uninterrupted jogging sessions. Pay attention to how your dog reacts. Sure, most dogs are able to run continuously for several few minutes. But it’s necessary to make sure that he’s not over-exerting himself. So while you run, keep an eye on him. A lot of dogs have no problem keeping up as you jog, while others may struggle. If you want to jog continuously, be certain that your dog is able to handle it. Typically, it’s better to run with younger, more energetic dogs that are bred for such activity. Older dogs with health problems may not be able to handle such intense activity for a long period, and making them run non-stop for 30 minutes could be detrimental to their health. For instance, running for a half hour with a young husky is probably not going to be much of a problem, since they are bred to run long distances without stopping. But making an old basset hound run for that same amount of time could be harmful. Ideally you could run non-stop with your pooch for however long you want your workout to last, but if he can’t handle it, don’t do it. If that’s the case, save running for a different time and make dog walks more low-key. Incorporating your dog into your exercise routine is a great idea, especially if you can do it in continuous sessions. Try these tips if you have a pooch that tends to get distracted when the two of your are out. February is National Pet Dental Health Month, and we at properpet want to celebrate your furry pal’s dental health by offering a variety of quality and affordable dental products for dogs. 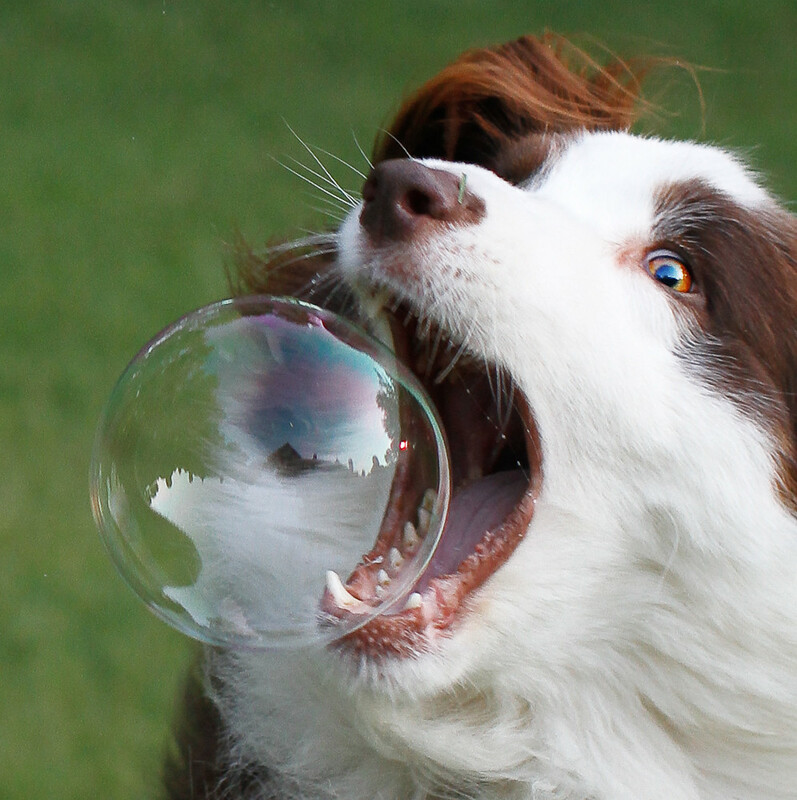 We carry everything from pet-friendly toothpaste and brushes to breath freshener and chew bones. Every item in our selection is designed to improve the dental health of your pet. Plus, with our wide selection to choose from, you’re bound to find at least one dental product your little pal will love. So make your pet’s dental healthy a priority starting this month. Browse our selection of pet dental products to find exactly what he needs. 2 0	Permalink to: Celebrate National Pet Dental Health Month! Snowball fetch. You’re never too old for a snowball fight. Modify that favorite childhood game into playtime with your dog. Instead of a fight, make it into a game of fetch. And instead of using a regular ball or stick, make snowballs and toss them to your pooch. See if he retrieves it and brings it back to you. If not, no big deal. Just make more snowballs and keep throwing them until your pooch tires. Snow angels. It’s probably been ages since you’ve made a snow angel. Why not make some when it snows? Involve your dog too. Have him lie next to you in the snow while you make a snow angel. Of course, your pup probably won’t be able to make a snow angel, but as long as he’s rolling around on the ground and seems happy, it will still be fun. Snow surfing. Take a cue from these enthusiastic dogs from this video and slide along the snow. This works best in hilly areas with a lot of space. It’s a great activity for energetic dogs that love playing. Your dog may learn how to do it on his own or you may have to show him. Simply lie on your back or stomach and slide down, then coax your dog to follow. New Year’s Resolutions…with your Pooch! 1. Exercise with your dog. Who hasn’t wanted to exercise more as part of a new year’s resolution at some point? Make it count this time by including your pet. Instead of going on leisurely dog walks with your pooch, jog with him. If you walk your dog multiple times a day, change one of those walks to a run. That way, you and your canine pal will squeeze in some quality exercise time. 2. Make healthier meal choices. If you’re like most people, eating can get a bit out of hand around the holidays. What better time to kick start a healthier meal plan than at the beginning of the new year? The best part is that you can do the same for your dog. When you make the switch to healthier food, start your dog on more nutritious food and treats. There are several healthful brands of dog food made with all-natural ingredients that are great for your pooch. If you are trying to eat less by implementing better portion control, do the same for your dog. Many dogs love to eat and will happily over-eat if you over-fill their dish. Consistently choose better food and smaller portions for you and your pet, and you both will be down a healthier path. 3. Take it easy. The days leading up to the holidays can be stressful. Take the new year as an opportunity to relax, especially with your pet. Sure, you’ll probably always be busy, but make it a point to regularly schedule time for yourself. Do it with your furry pal too. Make it a point to unwind each day by reading for a half-hour, taking a nap, watching TV or whatever your favorite relaxing activity is with your dog. While reading, have your pooch sit next to you and pet him. If you’re napping, let him lay on the couch with you and catch some Z’s. It’s a great to way de-stress while spending quality time with your pet. New year’s resolutions don’t have to be complicated. These are just a few examples of simple, positive changes you can make that benefit both you and your dog. Try one or all of these and see how both your life and your relationship with your dog improve. 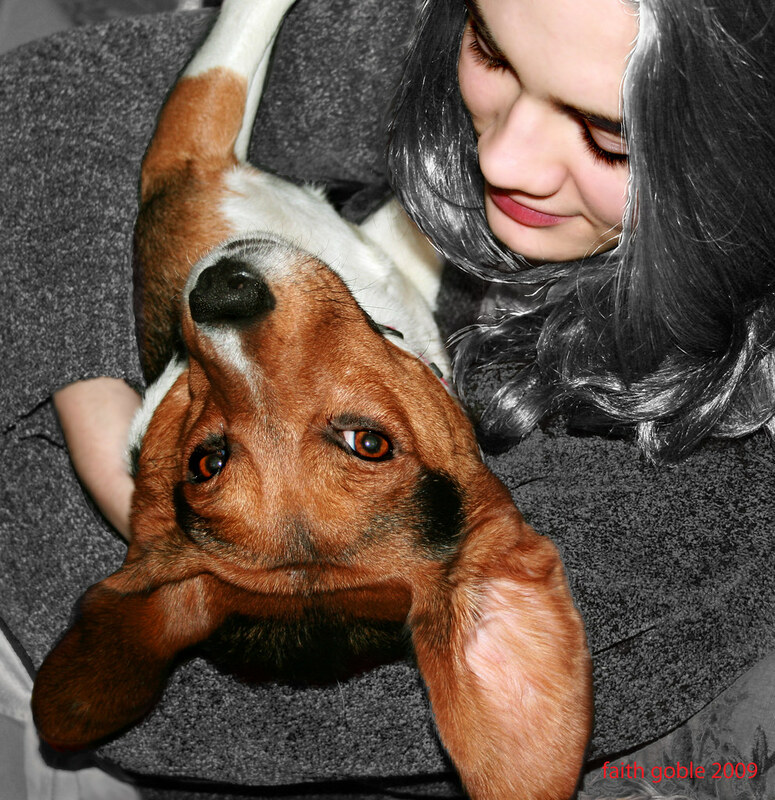 0 0	Permalink to: New Year’s Resolutions…with your Pooch! Is salt on the streets safe for your pets? While salt on the street is super useful for melting snow and ice, it can also be harmful to our precious pets. It is important during the winter to take extra precautions to make sure our pets are not harmed. Even though our pets’ paws are tough enough for pavement, the salt can cause irritation and be uncomfortable for our furry friends. And even worse, if they ingest the salt it can lead to illnesses. According to Doctors Foster and Smith, small amounts can cause drooling and diarrhea, “while large amounts can cause excessive thirst, weakness or fainting due to low blood pressure, decreased muscle function and, in severe cases, seizures, coma and even death” (source). Doctors Foster and Smith suggest using a moist towel to clean off their paws, after walking on heavily-salted areas. In addition, use a salt-free ice melter on your walkways and driveways to help keep your pets safe during the winter. Happy Snowing! 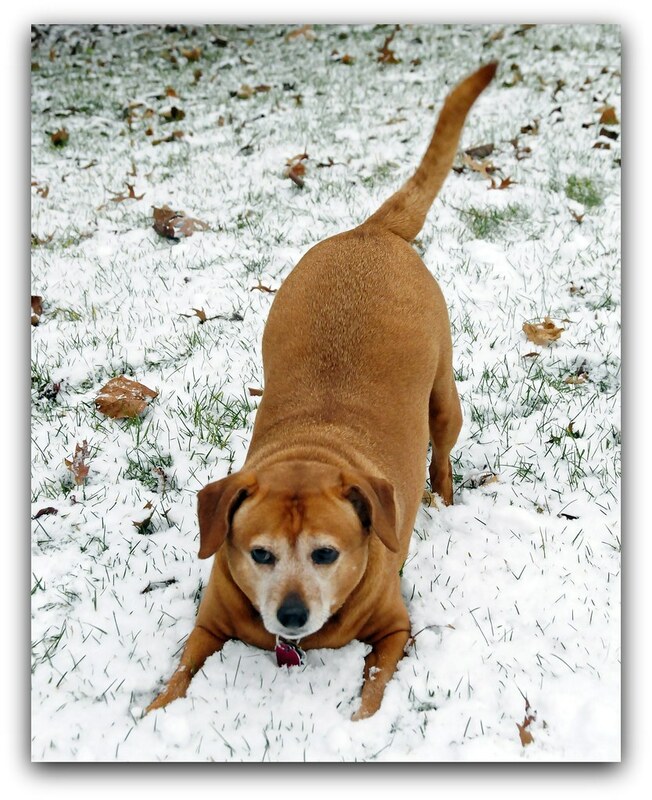 0 0	Permalink to: Is salt on the streets safe for your pets? To go along with our previous post about massaging your dog, here’s a link to a great video segment about pet massage. It explains the benefits of massaging your dog and includes some tips on how you can give your pooch a relaxing rubdown. This is a perfect way to give back to your adorable pup, who provides you with unconditional love. Nearly all cats love a good ear scratch. 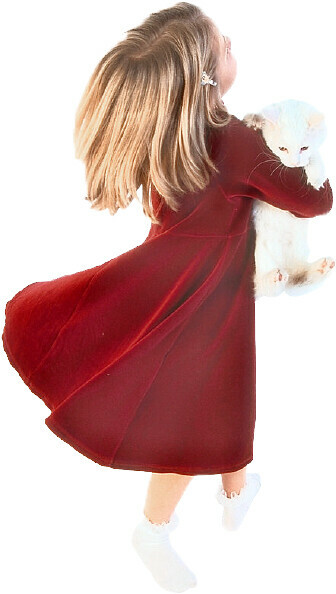 When your furry friend crawls into your lap or plops beside you, give the backs of his ears a little love. Use the tips of your fingers and start out with a light, gentle scratch at the base of his ears, then adjust to accommodate your cat’s preferences. Some like a firmer scratch while others prefer it lighter. Change your pressure after you notice the way he responds. If he is sitting still, is purring and his eyes look sleepy, he’s clearly enjoying it. Another good spot is under the chin. Take your index finger and repeatedly stroke the bottom of his chin. Most cats enjoy being pet in this spot and will often purr. This is a great place to focus on because you can immediately tell if your cat likes it, since you’ll be able to feel him purr. An often neglected area is between the eyes. But it should be a go-to spot because most cats adore being pet there. Using one finger, gently stroke from the top of his nose up between his eyes to the top of his face. Do that repeatedly and watch as your kitty’s eyes slowly close in comfort. He’ll likely purr too. Some cats dislike being pet near their tails, but if you focus on the spot where the top of their tail meets the end of their body, it could turn into one of his favorite places to be scratched. Start by stroking the end of his body near the tail to relax him. Then scratch the very end where the top of his tail is. If your cat likes the way it feels, he will likely purr and stick his bottom up into the air, signifying for you to continue. Every cat is different of course, so not all of these areas will be a hit. Just try them at various times and pay attention to how your cat reacts. Some cats will love all of these techniques while others will only like one or two. Anything works, as long as your cat is able to relax when you pet him.